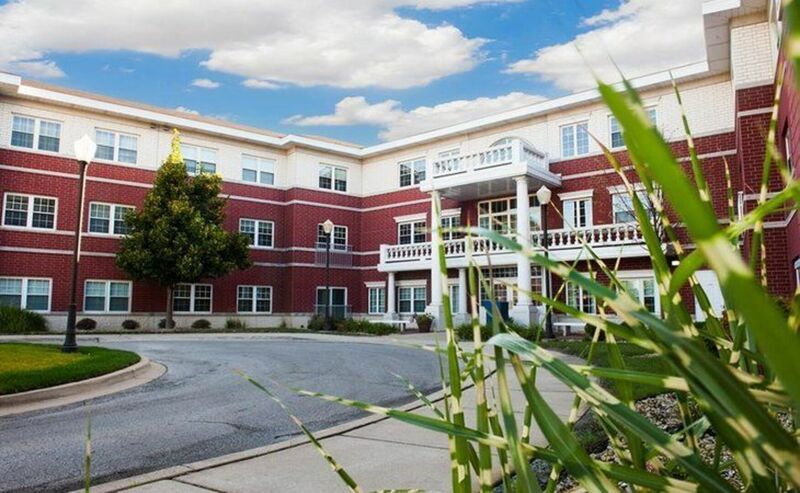 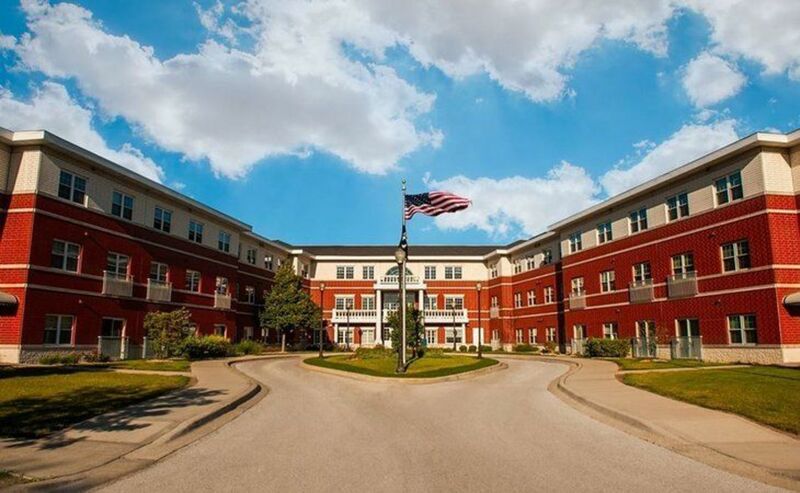 From the exterior’s classic redbrick architecture and stately white columns to the collection of on-site services and amenities awaiting each resident, Hanover Place offers unparalleled living for seniors in Tinley Park. 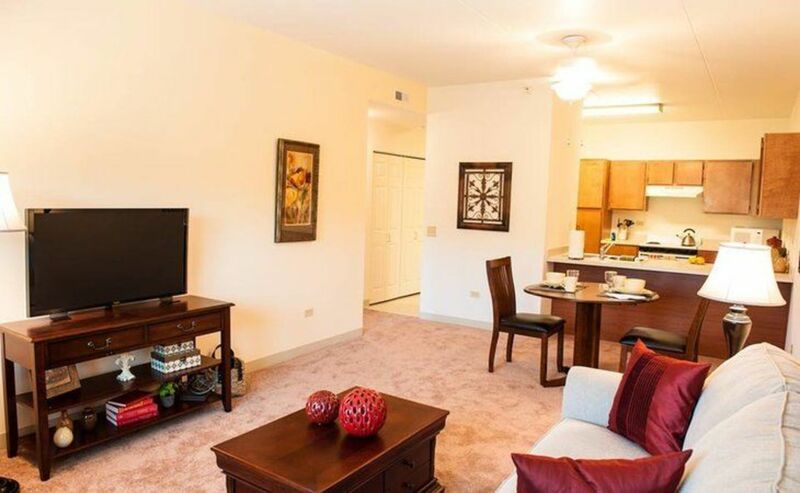 Scroll through the gallery for a look at the spacious apts. 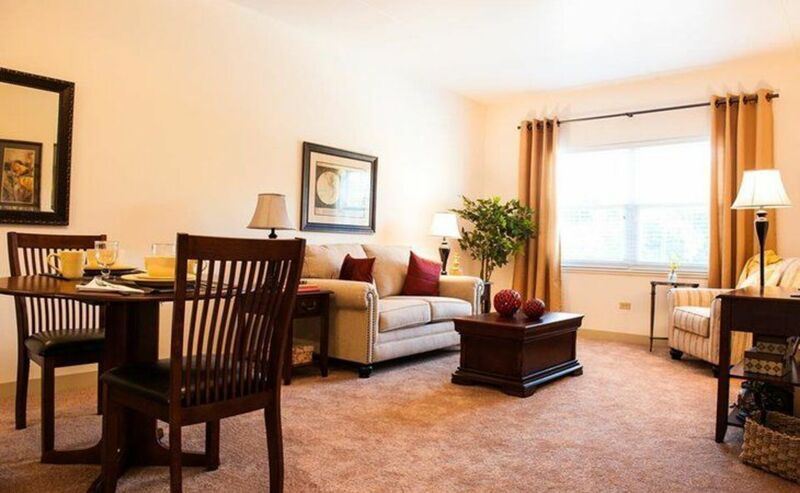 and welcoming spaces available throughout the community, and then call today to schedule a tour. 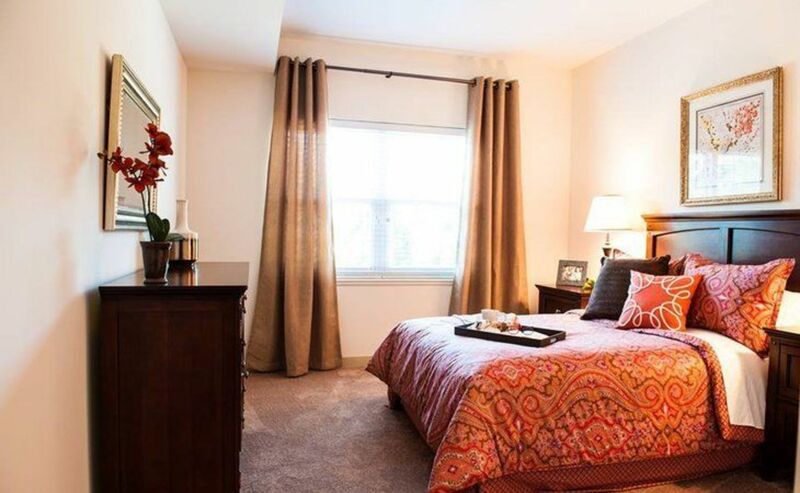 Bedroom – Every comfortable bedroom comes complete with plush, wall-to-wall carpeting. 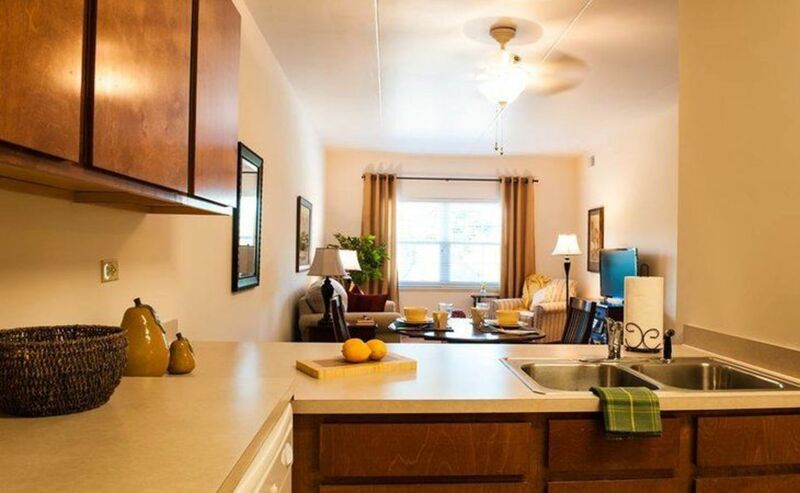 Kitchen – Each apartment features a full kitchen, making it easy to prepare your favorite meals. 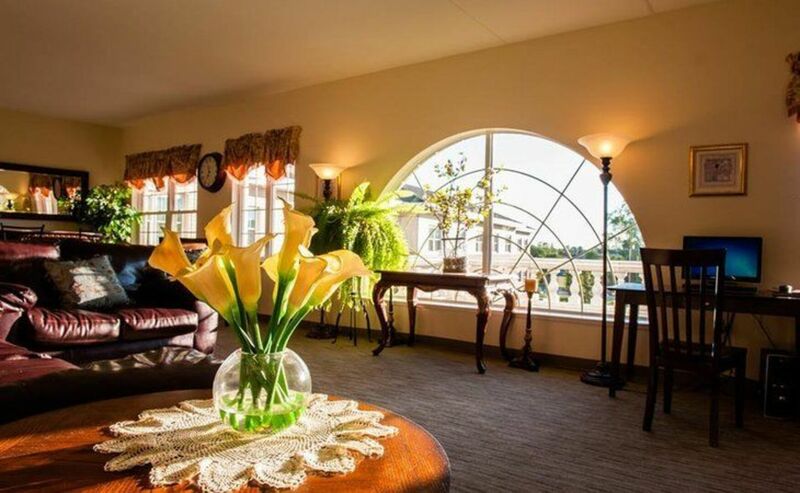 Living Room – Along with cozy carpeting, your living room has oversized windows, a convenient ceiling fan and prewiring for complimentary cable. 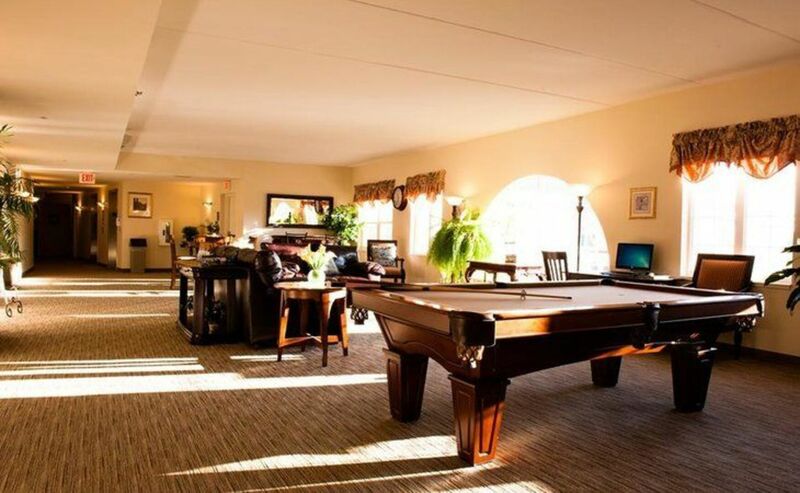 Community Room – With social spaces, billiards and a computer station, the community room gives you plenty of ways to relax and spend time with friends.